Hospitals sorted by cesaren rate from highest to lowest. 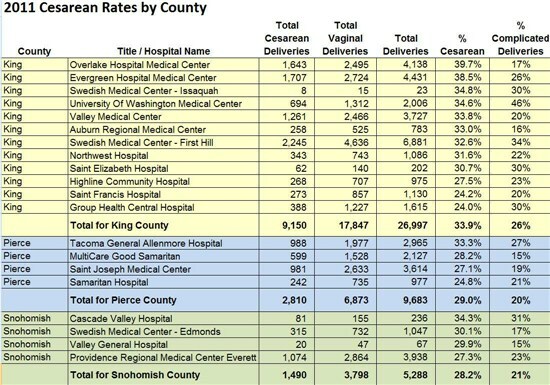 Please notice that the hospitals with the highest cesearn birth rates don't always have the highest corresponding rate of complicated deliveries. Click here for Excel spreadsheet of above data. Curious about what constitutes a complicating comorbidity? 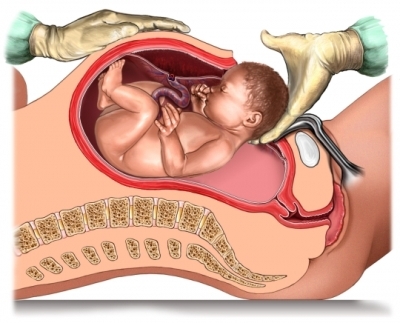 Look here: http://www.icd9data.com/2010/Volume1/760-779/764-779/765/default.htm for the ICD-9 codes that comprise the DRG codes.